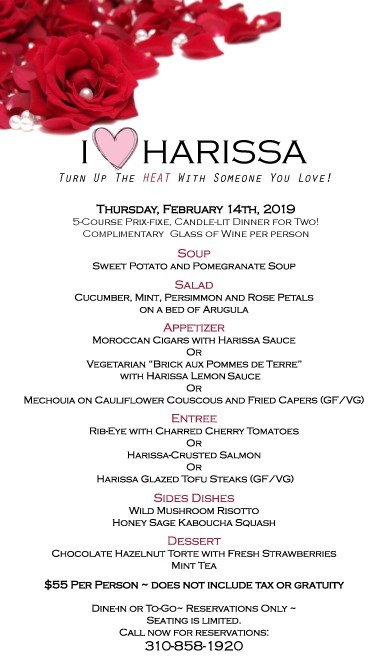 Special Valentines Day appetizers, an entree, and dessert. Click here to view their menu. 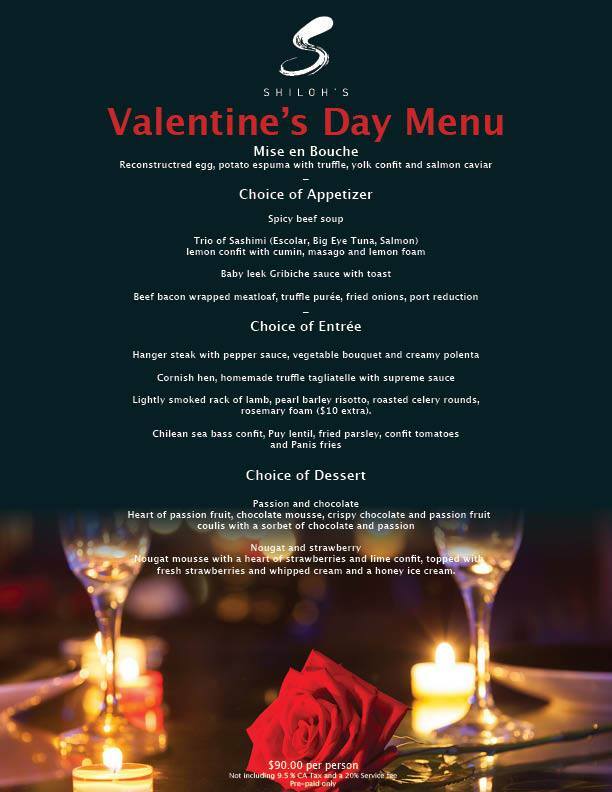 Click here to view their a la carte Valentine's Day specials. Every dish comes with a complimentary house salad. Click here to view their menu. Offering a Prix Fixe menu including Amuse Bouche, an appetizer, entree, and dessert for $125 per person (tax and tip not included). Click here to view their menu. Offering two 4 course menus for $65 and $90 per person (tax and tip included). 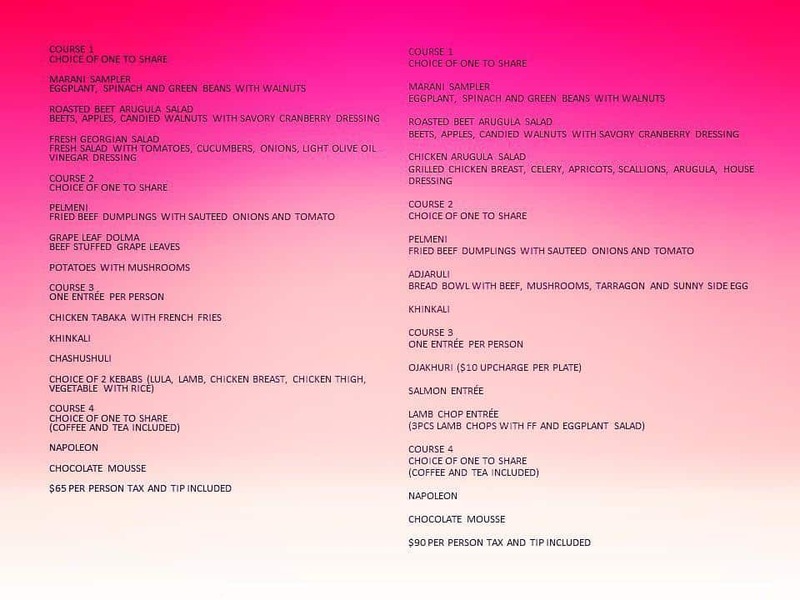 Click here to see their menu. 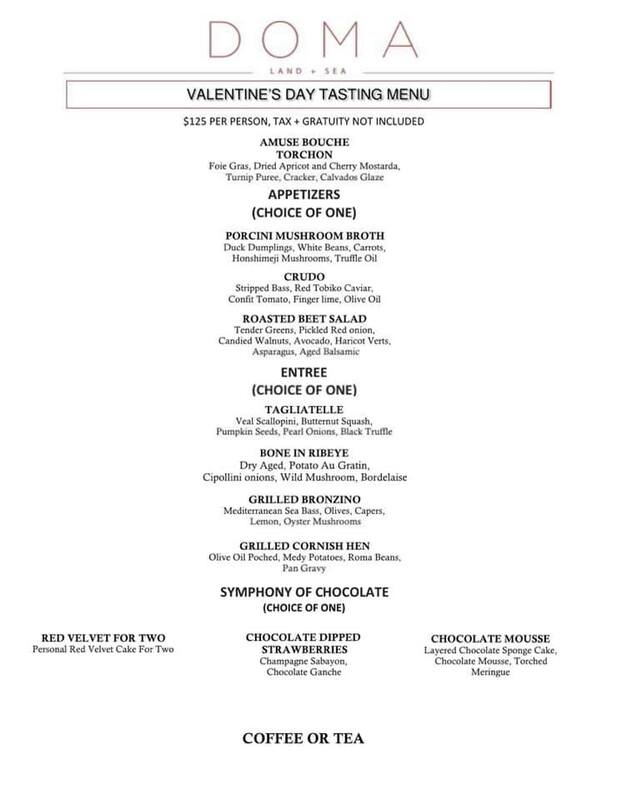 Offering a $95 prix fixe menu including a cocktail, sushi, salad, filet mignon & lamb chop, and dessert. Click here to view their menu. Offering a 5-course pix fixe candlelit dinner for two with a complimentary glass of wine per person for just $55 per person. Click here to view their menu. 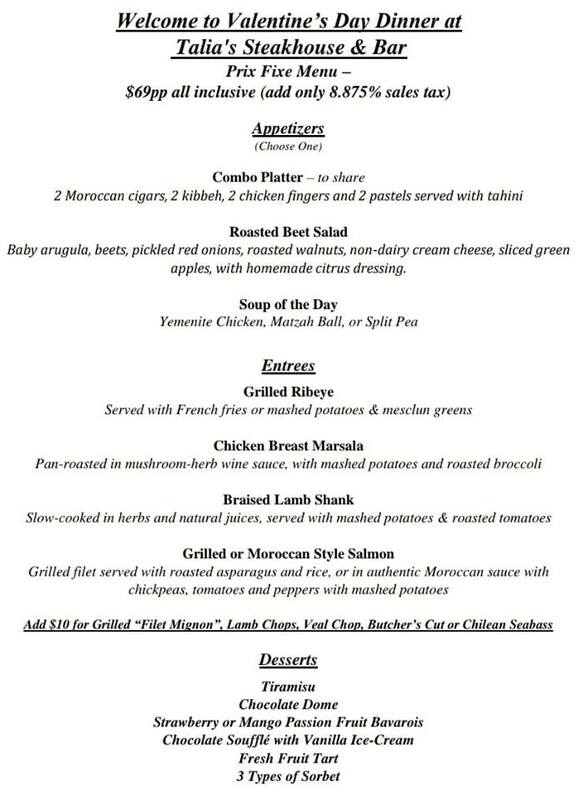 Offering Prix Fixe menu including Mise en Bouche, an appetizer, entree, and dessert for $90 (tax and tip not included). Click here to view their menu.